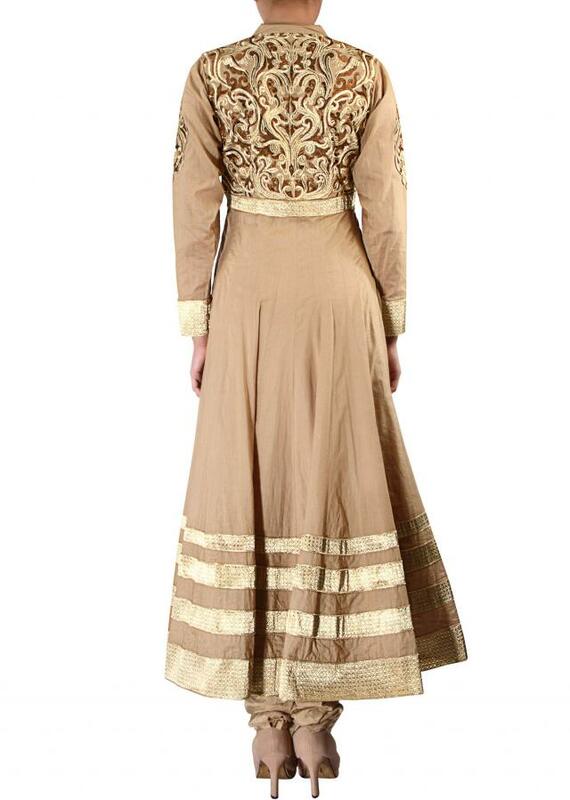 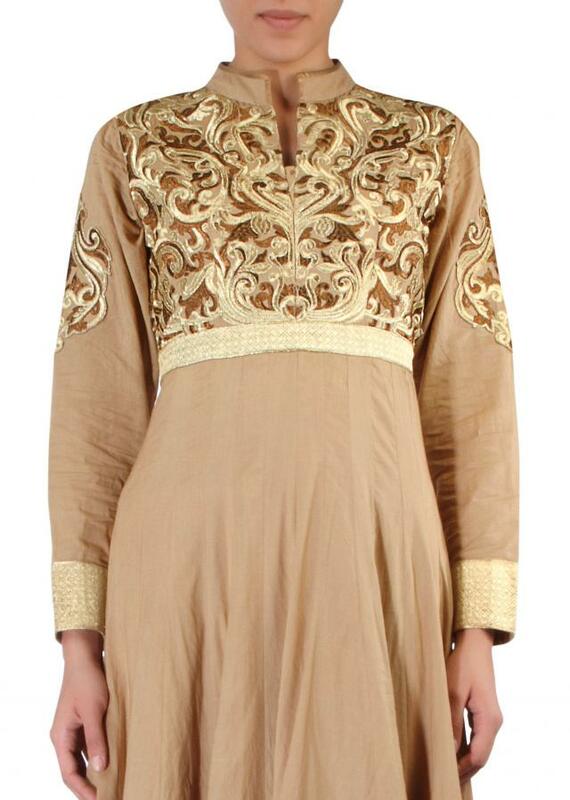 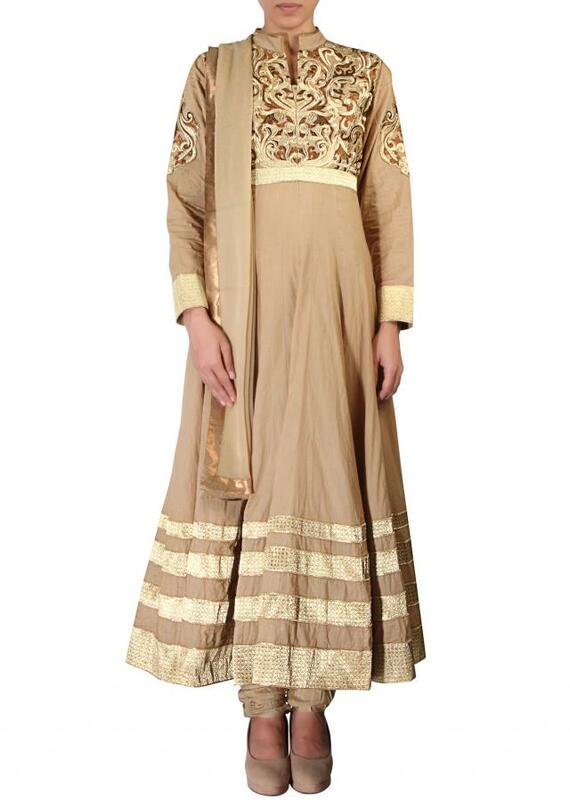 Beige anarkali suit featuring in cotton silk. 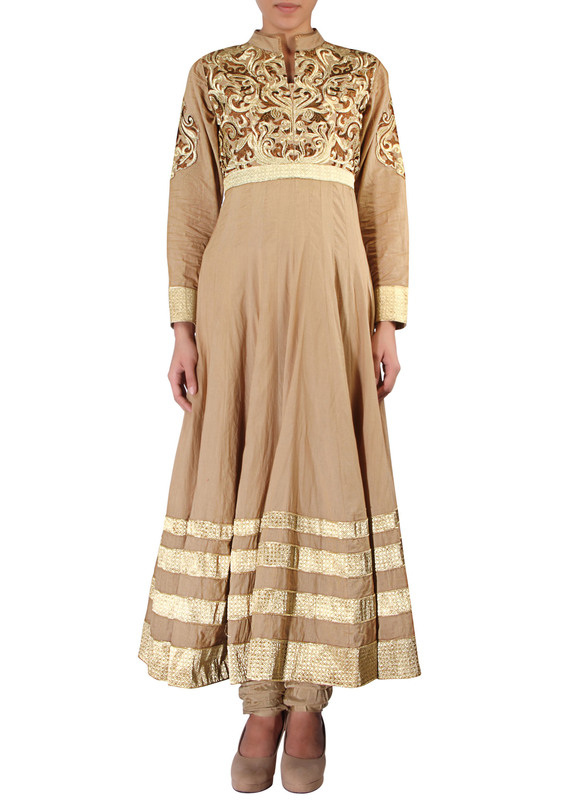 Bodice is adorn in resham and zari embroidery along with hem line in lurex border. Churidar is in beige cotton and dupatta in beige chiffon.